Whether you love trying out a different look or you just want to add volume to your hair, hair extensions and weaves will give you amazing results. Hair extensions are layers of hair in various lengths and widths. They are used to add more length or body to the hair. They are also used to create various looks. The extension is usually clipped on real hair. On the other hand, a weave consists of hair tracks woven into the hair by a professional. Just like hair extension, a weave is used to add length or volume to the hair. If you’re getting hair extensions or a weave for the first time, it’s important to know more about the process. 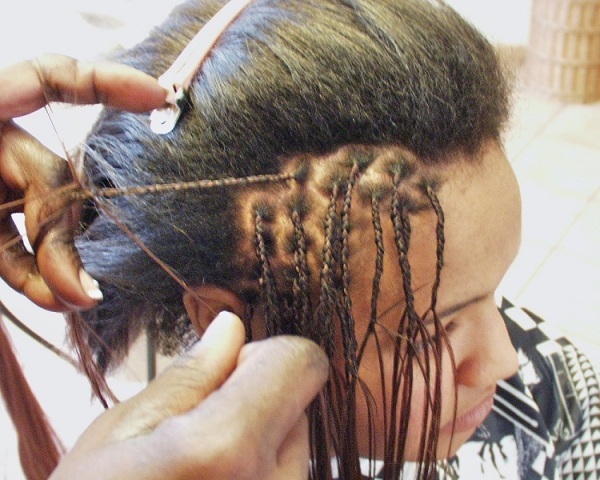 Sew-In Method: The hair extension is applied by being braided into the hair with a thread and needle. The weft is literally sewn on through the braids. If you’re getting a weave or hair extension for the first time, this will hurt a bit. The hair extension will feel tight too causing a mild headache. Traditional Weave: A traditional weave method is done by adding wefts of hair to cornrows. The hair is braided while leaving sections of hair out that will cover the wefts. 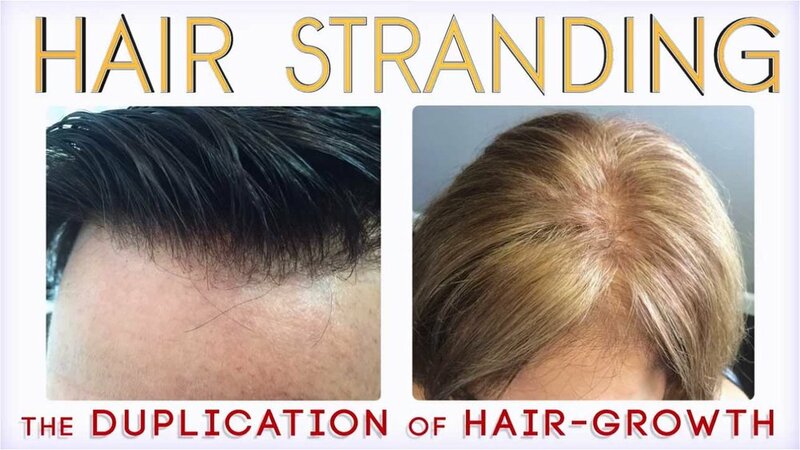 Stranding: This technique is done by adding loose hair to a thread base. 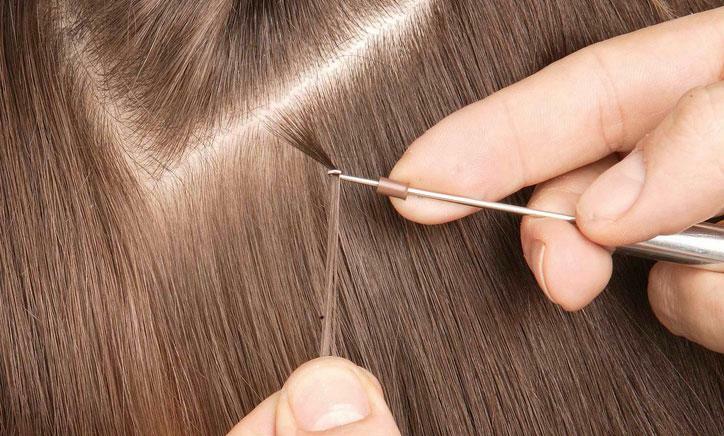 A thin piece of thread is sewn to the hair and then loose hair is added with a special tool. This is good for thin hair. This method is also called different names. Strand by Strand: Strand by strand can be done in different ways and is called by different names, but it is all done in the same manner. The hair is parted in small sections, then small amounts of hair are added sometimes with a glue gun, small metal links, a knotted string or with hair that already has a special adhesive attached to the tip which is melted with heat. Tape Weave: Hair wefts that come with a polyurethane base at the top of the weft. The hair is applied with special 2 sided tape sectioned in-between the hair. No braiding or sewing is needed. Micro links, cold fusion or I-Tips: Small sections of your hair are attached to the hair extensions with beads and a plier to close the bead. Brush through twice a day with a soft bristled brush. When brushing hair, start from the bottom and work your way up little by little. Do not comb hair from the top down as it may pull. Wash as you need to, frequent shampooing may damage even the best extension hair. and get an 10% discount code right away ! !